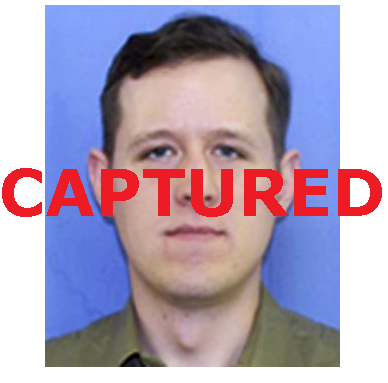 Eric Frein, the man wanted by the Pennsylvania State Police for the despicable cold blooded murder of Corporal Byron Dickson and the wounding of Trooper Alex Douglass in the cowardly ambush attack that took place September 8th in Blooming Grove Township has finally been captured! Eric Frein, 31, was a survivalist, considered "armed and dangerous", had eluded police while hiding in the forests of Pike and Monroe Counties. He was finally arrested on October 30th. He was arraigned in Milford the following morning. Prosecutors intend to seek the death penalty.